Maggie’s Functional Organics’ menagerie of reclaimed soft animals just got a whole lot bigger, with a new limited-edition collection of lovable barnyard critters ready to join your home on the range. These sweet farm friends are hand-stitched by a worker-owned cooperative in Morganton, North Carolina. Made with certified-organic cotton fabric leftovers and sock rejects, each machine-washable cow, pig, sheep, and funky tie-dyed chicken is stuffed with reclaimed polyester mill scrap to make it extra cuddly. Maggie's Functional Organics' menagerie of reclaimed soft animals just got a whole lot bigger, with a new limited-edition collection of lovable barnyard critters ready to join your home on the range. These sweet farm friends are hand-stitched by a worker-owned cooperative in Morganton, North Carolina. 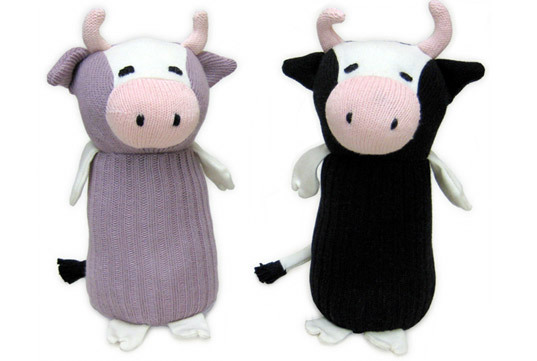 Made with certified-organic cotton fabric leftovers and sock rejects, each machine-washable cow, pig, sheep, and funky tie-dyed chicken is stuffed with reclaimed polyester mill scrap to make it extra cuddly.